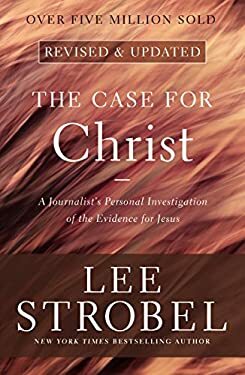 Using the dramatic scenario of an investigative journalist pursuing his story and leads, Lee Strobel uses his experience as a reporter for the Chicago Tribune to interview experts about the evidence for Christ from the fields of science, philosophy, and history. Winner of the Gold Medallion Book Award and twice nominated for the Christian Book of the Year Award. Is there credible evidence that Jesus of Nazareth really is the Son of God Retracing his own spiritual journey from atheism to faith, Lee Strobel, former legal editor of the Chicago Tribune, cross-examines a dozen experts with doctorates from schools like Cambridge, Princeton, and Brandeis who are recognized authorities in their own fields. Strobel challenges them with questions like, How reliable is the New Testament Does evidence for Jesus exist outside the Bible Is there any reason to believe the resurrection was an actual event Winner of the Gold Medallion Book Award and twice nominated for the Christian Book of the Year Award, Strobel's tough, point-blank questions read like a captivating, fast-paced novel. But it's not fiction. It's a riveting quest for the truth about history's most compelling figure. The new edition includes scores of revisions and additions, including updated material on archaeological and manuscript discoveries, fresh recommendations for further study, and an interview with the author that tells dramatic stories about the book's impact, provides behind-the-scenes information, and responds to critiques of the book by skeptics. As The Case for Christ and its ancillary resources approach 10 million copies in print, this updated edition will prove even more valuable to contemporary readers. Is there credible evidence that Jesus of Nazareth really is the Son of God Retracing his own spiritual journey from atheism to faith, Lee Strobel, former legal editor of the Chicago Tribune, cross-examines a dozen experts with doctorates from schools like Cambridge, Princeton, and Brandeis who are recognized authorities in their own fields. Strobel challenges them with questions like, How reliable is the New Testament Does evidence for Jesus exist outside the Bible Is there any reason to believe the resurrection was an actual event Winner of the Gold Medallion Book Award and twice nominated for the Christian Book of the Year Award, Strobel's tough, point-blank questions read like a captivating, fast-paced novel. But it's not fiction. It's a riveting quest for the truth about history's most compelling figure. The new edition includes scores of revisions and additions, including updated material on archaeological and manuscript discoveries, fresh recommendations for further study, and an interview with the author that tells dramatic stories about the book's impact, provides behind-the-scenes information, and responds to critiques of the book by skeptics. As The Case for Christ and its ancillary resources approach 10 million copies in print, this updated edition will prove even more valuable to contemporary readers. New (173 available) BRAND NEW. Over 1.5 million happy customers. 100% money-back guarantee. Make your purchase count: support Better World Books' worldwide literacy partners.